Finally doing some mechanical work. Installing the hinges was really fun. Finally getting to do some riveting and alignments and things like that! Continuing with the aileron mechanicals, now that the layups are finished, it’s time to install some hinges. 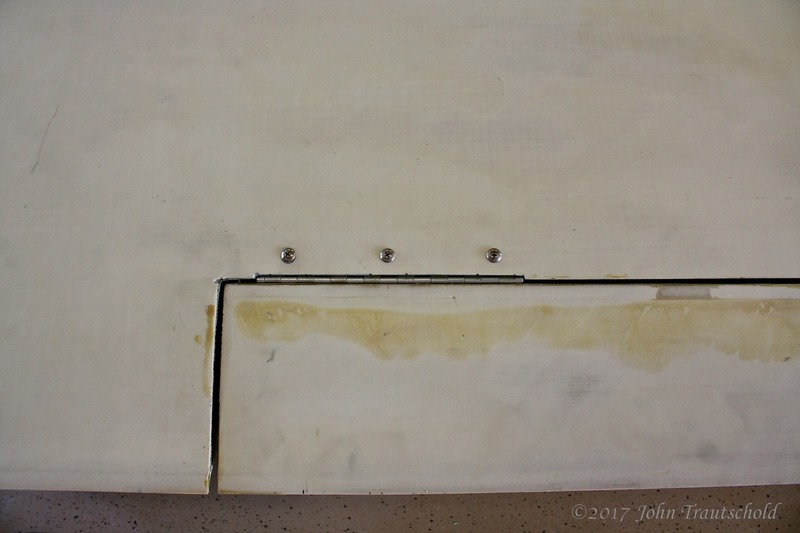 Because the hinges are somewhat critical to the operation of the ailerons (as is the torque tube), the hinges are both riveted and epoxied to the aileron. And for this particular hinge, the rivets are long enough to penetrate through to the torque tube. So these rivets are doing double duty - they hold the hinge in place and prevent the torque tube from rotating should the epoxy that holds it in place loosen for some reason. 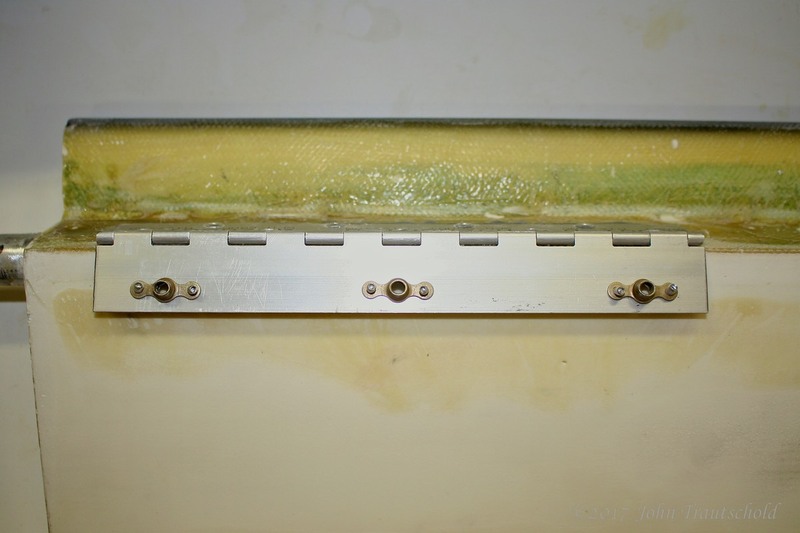 This is the inboard hinge after it's been structurally glued and reverted into place. So that the aileron doesn’t stick out too far, I need to cut a notch into the aileron well in the wing. Half of the hinge rests inside of this notch. 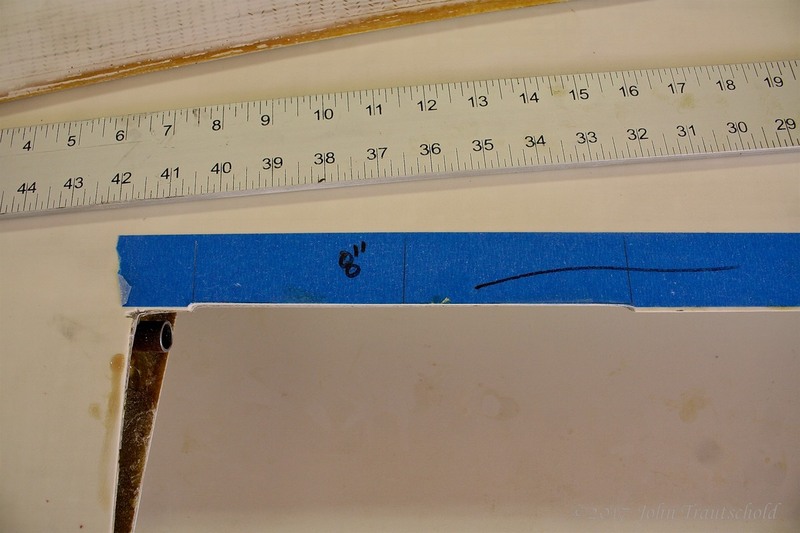 Half of the aileron hinge needs to "sink" into the wing well. Here's one of the notches for that. 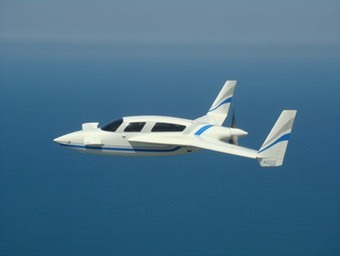 The aileron hinges need to be attached to the wing. In addition to drilling holes in the wing, I need to install nut plates on the other side of the hinge. The nut plates get riveted to the hinge. 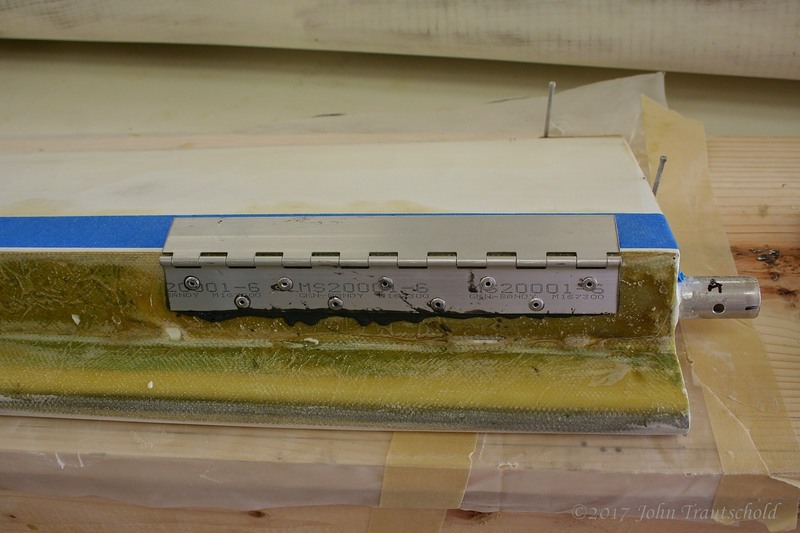 While the hinge gets permanently attached to the aileron itself, it gets bolted to the wing. 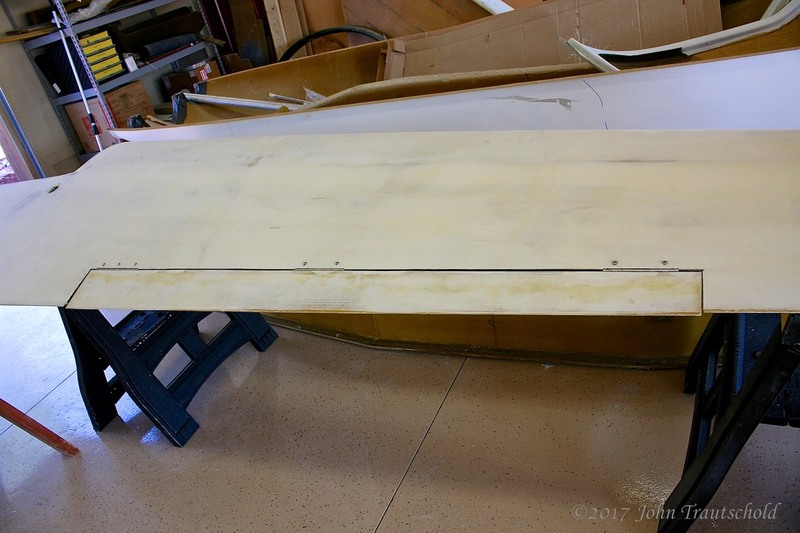 Once all three hinges are ready, it’s time to do a test fit of the aileron to the wing. Trust me, it won’t fit properly. It’ll bind and do all sorts of crazy things. That means it’s back to sanding and perhaps even some filling to get it all correct. Looks like we have an aileron that might actually work! Success! It actually seems to work well. Yay! Finally, here’s a closeup of one of the hinges attached to the wing. Yeah, it’s a bit ugly right now but I’ll fix that later once everything with this wing is finished. Here's a closeup of the inboard hinge. The test fit looks good. Now that the right wing is finished it’s time to move on to the left wing. Obviously the process is identical so there’s no need to show that here. Once both ailerons are finished they need to be balanced. Click here for that!